A big focus of the Oakland Raiders front office this offseason has been reinforcing a defense that ranked last or near the bottom in many statistical categories a season ago. Some of their big acquisitions to this point include linebackers Vontaze Burfict and Brandon Marshall as well as safety Lamarcus Joyner. The linebacking corps in particular has needed to undergo a complete overhaul for a few seasons now, and they are off to a good start with the additions of veterans like Burfict and Marshall. 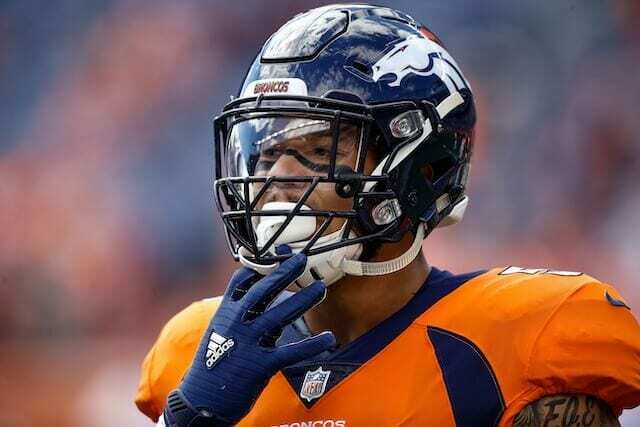 The Raiders hosted former Broncos OLB Shane Ray on a visit, per source. Pass rush remains a top need for Oakland. Ray is a former first-round draft pick of the Broncos out of Missouri in 2015, so he was once a promising young player in this league. In four years with Denver, he appeared in 49 games (15 starts), and recorded 94 total tackles, 14 sacks, 33 quarterback hits and two forced fumbles. His best season was back in 2016 when he had 48 tackles and eight sacks, both career-highs. He only played in 11 games in 2018 though, starting none of them. He had just 10 tackles and one sack.